Northern England’s Turquoise Blue imprint returns with the ‘Coco Beware’ EP courtesy of UK artist Rhymos. Aaron Binstead aka Rhymos is a rising talent coming out of the UK with releases on DJ W!ld’s Catwash imprint, Geddes’ Murmur Records and Overall Music and support coming from BBC Radio 1’s Pete Tong, Huxley, Laura Jones and Kate Simko. Here we see Rhymos welcomed onto the Turquoise Blue roster, following the footsteps of artists such as Alex Arnout, John Dimas, Djebali and Phonogenic. ‘Hoop Scotch’ opens up the release and sees Rhymos deliver a stripped-back, dub infused number fuelled by echoing stab hits, sparse, swinging percussion and a protruding low end drive. ‘Mummas Kumquat’ follows and take things a little deeper with hypnotic ethereal textures and loose drums, while an underlying acid tinged vibe instills a darker edge to the composition. Opening up the latter half of things is title cut ‘Coco Beware’ which tips the focus over to a percussive, groove-led feel for the dancefloor, bringing modulating drum hits and echoing atmospheres into the limelight as a bumpy square wave hook meanders around them. Finally to shape up the package is ‘Whistleblower’, which reverts back to dubby realms with fluttering synth sweeps and low-slung drums. 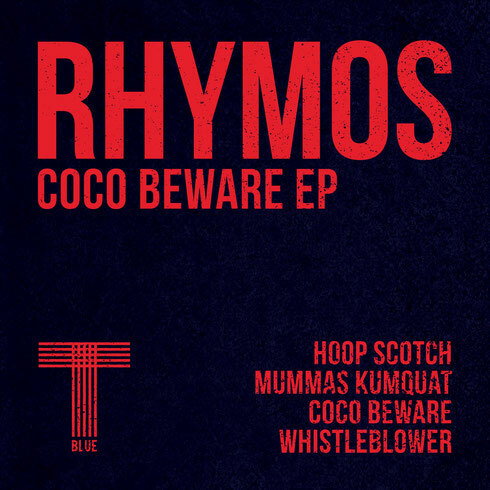 Rhymos’ ‘Coco Beware’ EP is out now on Turquoise Blue.